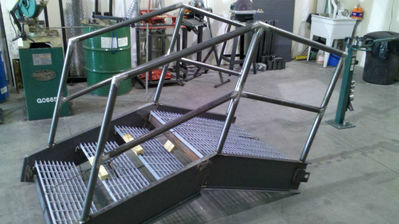 Bel Air Stairs & Railings fulfills your welding and metal fabrication needs. We work with many different materials to carry out both structural and ornamental projects. As you take a look at the page, you will see that we have many talents and capabilities besides just stairs and railings. 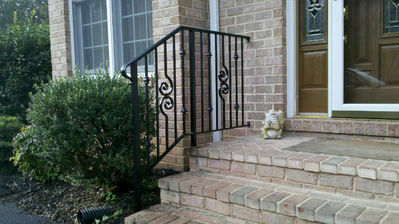 We have been providing Bel Air metal fabrication and Baltimore metal fabrication services for the last 30 years. 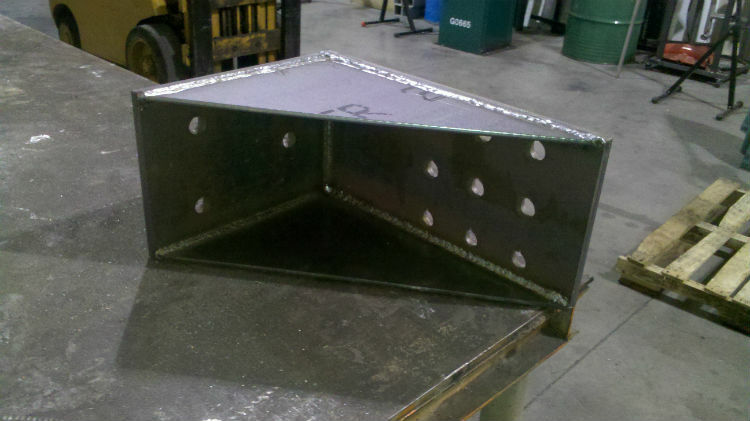 Besides being a Bel Air welder, we can punch, cut, bend and perform almost any other metal fabrication service in either Bel Air, Maryland or Baltimore or surrounding areas. 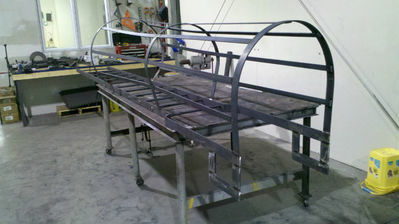 We are certain you will like the quality of work we do as a metal fabricator and our metal fabrication prices. We work with all types of metals - steel, stainless steel, cast iron, wrought iron, aluminum, bronze and can incorporate wood, glass and other materials into the design. We don't just weld. We do complete fabrication and processing, assembly, welding, punching, drilling, cutting, bending and forming, burning, as well as laser and plasma cutting. As a steel fabricator, we use all the above techniques and materials for commercial and industrial metal fabrication, but also finely finished products for residential and business locations. 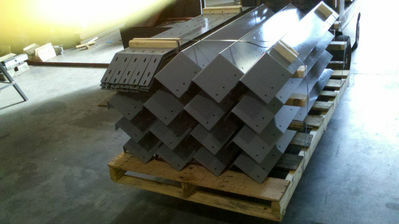 If painting, galvanizing, powder coating or anodizing are needed, we can take care of that. We have listed our most requested services, but if you do not see the work you need to be done, do not hesitate to call us and ask. Typically we have worked jobs similar to your request. We have done Residential, Commercial and Industrial Jobs. See the Commercial & Industrial page for more details. Residential services are listed below although most can also be commercial. Exterior & Interior– At your request we can do extravagant decorative pieces such as wrought iron railings or we can install strictly functional railings. We offer many stair designs, Spiral Stairs, Pan Stairs, Steps & Stairs. No matter whether your taste is modern or historic we can create the staircase you desire. Our window guards are built to both protect and decorate. We custom make the window guards to accentuate the outside of your house or property. We coordinate your door guards or security doors to your window guards in order to enhance visual appeal. This is a simple way to put a decorative spin on a security device. We use a variety of materials when making our carports, patio covers, and metal awnings in order to make a functional outdoor space for our customers. When working with balconies, decks and fire escapes we like to blend our work seamlessly with the preexisting structure to provide you with a functional space that fits your needs. We have many different flower boxes all with different functions. We offer your standard flower box that hangs below a window or more complex versions of it. Window boxes are larger but will also guard the window and hold plants. And Juliet Balconies, which are essentially fancy railings for upper floor doors and large windows but can also hold flowers. This is a perfect way to protect your outdoor appliances. 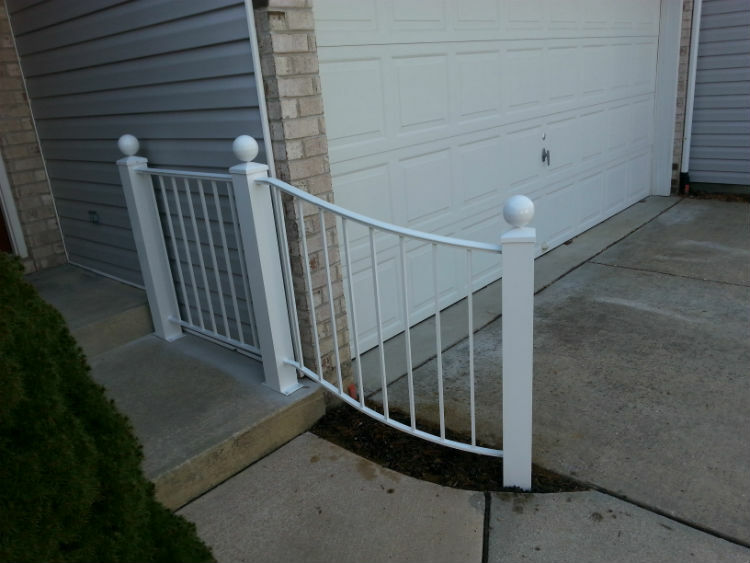 Our gates and fences are custom and can be made with various materials such as wrought iron, steel, and aluminum. 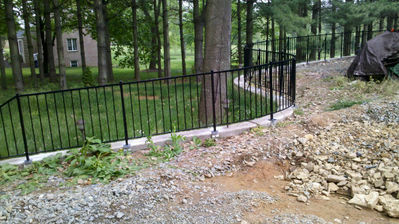 We make both decorative and security fences. Custom Jobs – We are always willing to work along with your ideas to make a vision of yours a reality. Over the years, we have worked with a variety of metals and materials. We have skillfully incorporated materials such as woods and glasses to work with our structural steel, wrought iron, stainless steel, chrome, bronze and aluminum components. We are open to both residential and commercial projects and we have worked for investors, individuals, contractors, rehabbers, and builders all with fantastic results. 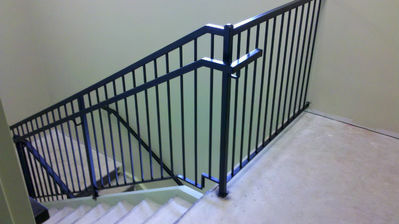 At Bel Air Stairs & Railings, we are excited work together to create the perfect addition to your space. 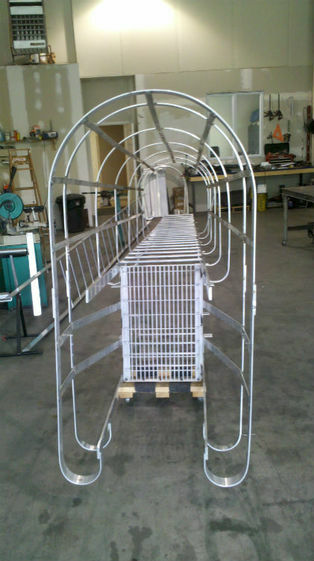 We are proud of the quality of work we produce and our metal fabrication prices are competitive too. We Would Love The opportunity to serve you soon!